When Marjorie Pay stepped into the Salt Lake Temple in 1937 to be married to Gordon B. Hinckley, she little knew what dramatic turns her life would take. How could any newlywed envision that she might someday be the eternal companion of the prophet and President of The Church of Jesus Christ of Latter-day Saints? In Glimpses into the Life and Heart of Marjorie Pay Hinckley, dozens of family members and friends share experiences and feelings that demonstrate the character of a quietly remarkable woman. These vignettes combine with the words of Sister Hinckley herself, gleaned from talks, letters, and conversations, to create a portrait that is engaging and inspiring. From her profound yet simple faith to her optimism and sense of humor, from her love of mothering and grandmothering to her enthusiasm for learning, Sister Hinckley's personality traits are perfectly suited to her mission. She goes through life with a smile in her heart and a gift for loving that reaches out to embrace everyone she meets. As you meet her in these pages, you'll fall under the spell of her warmth, her genuineness, and her testimony. "This book is not a recipe for others to follow, but just one more example of the gospel in action in the life of a fellow sojourner," writes her daughter Virginia H. Pearce. But in sharing this example, she expresses the hope that "maybe, just maybe, we who read it will be inspired to try a little harder to be a little better — to become the people the Lord knows we can be." An excerpt from Sheri Dew's foreword to Glimpses into the Life and Heart of Marjorie Pay Hinckley: "Their interactions with each other demonstrate the comfortable camaraderie of their life together. During a meeting with missionaries in London's Hyde Park chapel, President Hinckley began his remarks: 'I am going to exercise my prerogative and call on Sister Hinckley to talk with you. This is something for which I will pay a dear price, but so be it.' He chuckled to himself as he turned from the podium. But without missing a beat, she stepped up to the pulpit, lowered the microphone — she always has to lower the microphone — and said, 'I like this man a lot, but sometimes I like him more than others. What would you do if you were married to a man like this?' The missionaries roared their approval." Virginia Hinckley Pearce is the author of the bestselling book A Heart Like His: Making Space for God's Love in Your Life, and has edited and coauthored several additional books, including Glimpses into the Life and Heart of Marjorie Pay Hinckley. She has served as a counselor in the Young Women general presidency and on the general Primary board of The Church of Jesus Christ of Latter-Day Saints. She and her husband, the late James R. Pearce, have six children and twenty-six grandchildren. I wasn't far into this book before I felt like Sister Hinckley was, not only a life-long friend, but also a soul-mate of mine. There was so much about her I loved and sat there saying, "she is exactly right, that is exactly how I feel." What a wonderful example she is to all of us! She is truly a remarkable lady! When I grow up I want to be just like her! Thanks for sharing her life with us! Sister Hinckley had such a 'down to earth' personality that it's easy to feel such love for someone I've never personally met. How can anyone not adore this wonderful book? I love the way it was put together with stories from her family and friends interspersed with quotes from her. It was an enjoyable read and I felt like perhaps I could do a little better, be a little more. I felt like someone gave me a glimpse of a fabulous lady I would like in some small way to be like her. I'd like to have her humor and joy of life, simple and honest and yet so much more too. It also made me want to try my hand someday at a little compilation of stories and quotes about my grandma. Nice format that really helped her story shine. I read this book several years ago but have never since felt as uplifted and motivated by a book of this type. I found myself able to relate to "Marjorie" in such a personal way, as a woman, wife, and mother, that it was much easier to put myself in her shoes. I caught myself sometimes asking, "What would Marjorie do?" because it was so to imagine her in my situations and think about how she would act/react. It made me laugh and cry, and some of the stories will stay with me forever. This was a great read! It was encouraging but not to the point where you get discouraged that you aren't doing enough. I was in the middle of the book when Pres. 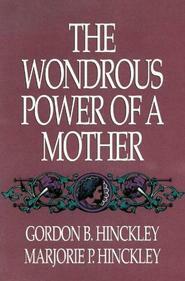 Hinckley died and so it meant that much more to me to hear the words of his wife and those that loved her. GREAT book! 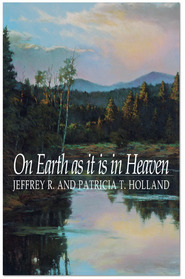 I read this after meeting with Sister Hinckley's sister who refered to this book throughout her discussion. A delightful, easy read that leaves you with a new desire to try a little harder and do a little better.